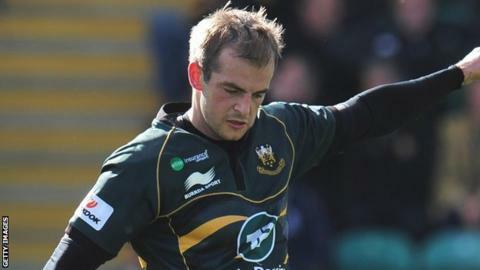 Northampton Saints director of rugby Jim Mallinder is keen to keep fly-half Stephen Myler at the club next season. Mallinder told BBC Look East: "He's played some big games for us. "He can play even better, but he's a really good player and someone we're looking to keep for the next couple of years." Myler joined Saints from rugby league side Salford and has gone on to make 185 appearances in the green, black and gold, scoring over 1,400 points. Meanwhile, Mallinder says other players in the squad, including Lamb, still have time to impress and earn new deals. "We're looking at all our players and nothing's for certain," he said. "We've got to decide who we want to stay and a lot of that will depend on performances." Saints have already signed Kahn Fotuali'i,Alex Corbisiero and Salesi Ma'afu for the 2013/14 season and Alex King will be arriving from Clermont Auvergne as backs coach. "The squad is coming together nicely and we're quite happy," Mallinder added. "You'll see over the next week or so some re-signings, which we're pleased about, and the squad is taking good shape."